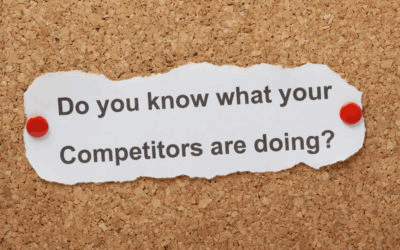 Lawn Care Business Owner Tips: Know your competitors programs! Be aware of your lawn care competitor programs. If your clients ask for similar types of programs or something seems to be working well for your competitors’ programs and there are ads out and other visible signs, then mimic them and do what works. What’s important to recognize in getting to know your competition is that you really need to choose who your competition is. There may be a guy delivering lawn care services in your vicinity. He drives around in a station wagon in ripped jeans and doesn’t make a good appearance. You know this guy. There’s one in every neighborhood. Well, he’s not your competition! You have bigger fish to fry! The large nationals have varied quality, but some are good. The big regional companies usually deliver a pretty good service. And some local markets may have some impressive individuals. But in surveying the competitive landscape, understand where your business is currently and where you want it to be. IT’S IMPORTANT TO KNOW WHO YOUR COMPETITION IS, BUT IT’S ALSO IMPORTANT TO KNOW WHO YOUR COMPETITION IS NOT!!! Look at your competitors. Watch their marketing activities. Understand what programs they offer. Know who their target market is and how that may or may not overlap with yours. You may even find some great ideas in your competitors’ failures. Sometimes their ideas are great, but the execution is poor. And in certain instances, you may be able to take a failed business initiative and tweak it to make it successful in your organization. MAKE IT YOUR BUSINESS TO KNOW YOUR COMPETITORS’ BUSINESS!! !